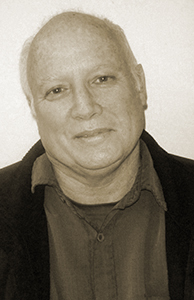 Richard Jackson is the author of ten books of poetry, including Resonance (Ashland Poetry Press, 2010), Half Lives: Petrarchan Poems (Autumn House Press, 2004), and Unauthorized Autobiography: New and Selected Poems (Ashland Poetry Press, 2003). His next collection, Out of Place, is forthcoming from Ashland Poetry Press in 2014. He is also the author of a book of criticism, The Dismantling of Time in Contemporary American Poetry (University of Alabama Press, 1988). He is the recipient of grants and fellowships from the John Simon Guggenheim Memorial Foundation, the National Endowment for the Arts, the National Endowment for the Humanities, the Fulbright Program, and the Witter Bynner Foundation for Poetry. He has received five Pushcart Prizes and the Order of Freedom Medal for literary and humanitarian work in the Balkans from the President of Slovenia. Jackson teaches at the University of Tennessee at Chattanooga and the MFA program at Vermont College of Fine Arts.